Two classes ago, I gave a presentation on The Prime Effect — how Amazon’s execution and continued investment in the Prime program has transformed consumer buying habits, catapulted Amazon into record-breaking revenues, and redefined the value proposition that customers live and breathe by. When Prime first launched, customers paid $79/year and received free two-day shipping on Prime-eligible products. Now, dozens of products and services are bundled as added perks through the Prime membership. Prime has approximately 85 million subscribers. That translates to roughly two-thirds of all U.S. households. 82% of wealthy consumers — those making $112,000/year or more — hold a Prime subscription. But don’t fret: Amazon is targeting lower-income consumers requiring government assistance with a sizable 45% discount on Prime memberships. Prime customers spend 5x more per year than their non-Prime counterparts. They also shop more frequently, price-compare less often, and place individual orders that cost more than those who don’t have a Prime membership. Perhaps the biggest takeaway is that, despite Prime’s massive success, Amazon continues to lose billions of dollars each year in operating the program. In 2016, it netted a $7 billion loss solely from the Prime program. Two questions come from this. First, why is Amazon continuing to offer Prime? Second, Amazon’s retail operations continue to be profitable overall. How could this be? Through the Prime program, Amazon has bred fiercely loyal customers that have dedicated themselves to Amazon.com for all of their shopping needs. In Amazon’s quest for creating a program customers would absolutely love, they were successful in instilling high value in Prime — so much so that customers no longer price compare or even consider the alternatives. Amazon exploited the value of convenience in their 85 million customers, something rivals like Walmart have failed to recognize. In one sense, Amazon Prime is Amazon’s life vest. As I discussed in the presentation, Amazon’s total operating profit for its retail operation in 2016 was $2.66 billion. Without Prime membership revenue, Amazon’s retail operations would result in a $1.1 billion loss. Not only is Prime invaluable, it’s a necessity to its continued success. In this analogy, the life vest — incremental revenue from Amazon Prime — is what’s ultimately keeping Amazon in the black when focusing on financials from its retail division. Of course, Amazon as a whole is doing so enormously well that it doesn’t really need a life vest. But what about when Prime first launched in 2005? As you might recall, the company picked the $79/year price point no hard evidence the program would work at all, let alone be successful. So, when jumping into those uncharted waters, the Prime life vest added a necessary layer to safeguard its success, even if it was temporary. And — ironically enough — if Amazon’s present-day retail operation was swimming all alone, it would dip underwater without the life vest, as it would suffer from a $1.1 billion loss without the help of Prime. Let’s take a step back and examine Amazon as a whole. In 2016, Amazon reported a net revenue of $136 billion, up from $107 billion in 2015. That’s more than Best Buy, Target, and Staples combined. What’s attributable to Amazon’s exorbitant success? Amazon’s North America operations brought in a staggering $80 billion of its overall $136 billion — 58.7% of the overall total, to be exact. But what was its overall profit margin on that revenue? Only $2.4 billion, or a 3.0% operating margin. On the other hand, Amazon Web Services (AWS) is dominating with unprecedented operating margins. AWS, a subsidiary of Amazon, offers on-demand cloud computing services to subscribers on a monthly basis. Due to its inherently flexible business model, AWS attracts a wide variety of developers and corporations: notable firms include NASA, President Obama’s 2012 election campaign, and the beloved video-streaming website Netflix. In 2016, AWS generated $12.2 billion in revenue. On the surface, that might not sound so remarkable; however, of that $12.2 billion, Amazon profited $3.1 billion. That’s right — almost $1 billion MORE than it did from the monstrous $80 billion of revenue it generated from all of its North America retail operations. This amounts to a 25.4% overall operating margin for the AWS division — that’s what’s so remarkable about AWS. Not only is AWS inflating Amazon’s life vest in allowing it to expand to new markets with enough of a safety net in case something goes wrong (which, it somehow never does), it’s also serving as a set of mighty wings for Amazon to soar high in record-breaking revenues, growth, and shareholder value. One editor argues that Amazon’s e-commerce business “may not even be the main reason why Amazon is worth so much right now, just as it definitely is not the main reason for Amazon’s recent journey into solid profitability.” Dubbed the most valuable startup in tech, Amazon Web Services is the exact reason for Amazon’s continued profitability. To frame the above financial figures in another perspective, AWS accounted for about 89% of Amazon’s total operating income for the first quarter of 2017. And what about the rest? That 11% is attributable to its entire e-commerce operations. No wonder why Amazon Web Services is valued at $190 billion. 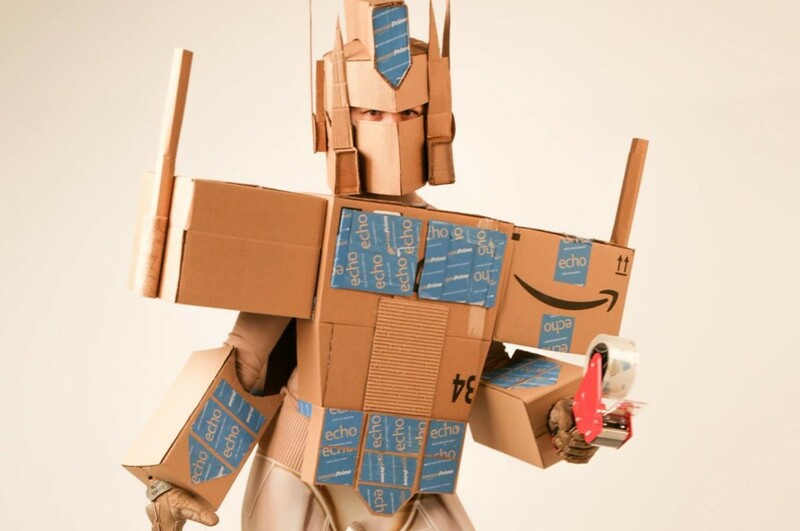 In short, Amazon Prime is the face of Amazon that we’ve all come to know and love. The Prime program has been instrumental in redefining loyalty, creating consumer value, and increasing a company’s value to levels previously unattainable. But behind the scenes is where some of the real magic lies — Amazon Web Services. As enormous as Amazon seems right now, it’s just taking off. Who knows how high this juggernaut will fly? Really interesting post! It’s hard to believe that Amazon’s annual $7 billion loss is so trivial to them especially given how fast they’re expanding. If other parts of their business like AWS covers this loss on their retail division, I wonder why they continue operations there instead of just focusing all its efforts on the divisions that are profitable. Are they hanging on to retail to collect data? To create sticky customers who will use them for other services? It’s hard to read into the actions of Amazon and make any sense of them. Great points. I think that’s a large part of Amazon’s strategy – they don’t want *anyone* knowing what they have up their sleeve! Nice followup to an excellent presentation! I remember learning in computers in management that even companies like Google use Amazon Web Services. Something that I’ll never understand is how Bezos was able to create a successful tech company that now also dominates the retail space. I wrote my blog this week on how even though Musk was successful in tech, he still cannot get manufacturing down. One question that remains to me that I mentioned last class is just how big Amazon can get until it starts to crumble like GE.